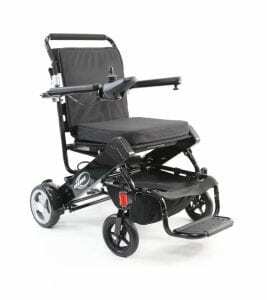 When it comes to electric wheelchairs, one of the biggest issues is the chair’s size and weight making it difficult to travel with. Karman Healthcare has found a solution with the Tranzit Go Foldable Power Wheelchair. This revolutionary design derives from 25 years of manufacturing products and remains synonymous with Karman Healthcare’s highly held quality standards. Made from the best raw materials, the components where sources to truly create a lightweight and functional everyday power wheelchair. 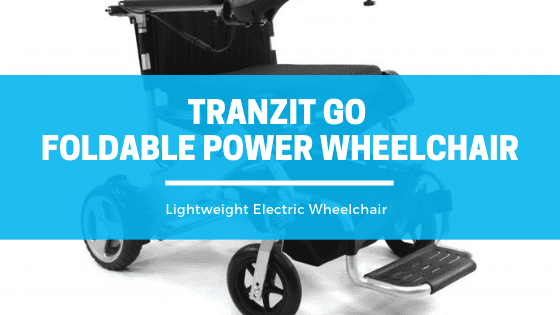 The Tranzit Go Power Wheelchair weighs at only 46 pounds and features the best Li-Ion battery. It is so easy to fold, pick-up, and store! Its overall dimensions are 39” x 24” x 36” and 11” when folded. The Tranzit Go is designed to improve the lies of users globally, so now you can’t take the stress out of traveling with a power chair. With a charge time of 6-8 hours, the chair’s lithium-ion battery is powerful while remaining lightweight and can be easily removed from the chair to shed further weight. Without the battery, the electric wheelchair weighs in at just 42 pounds. Its standard driving range is 12 miles, but with the optional Lithium-Ion Battery, you can extend the driving range up to 25 miles. With the additional battery, the chair weighs-in at 51 pounds. Power wheelchairs can traditionally weigh up to 250 pounds! The Karman Tranzit Go Power Chair can be used indoors and outdoors. This electric wheelchair is suitable for both concrete and asphalt so you can experience its benefits in your everyday life. It is great for everyone at all ages. With a removable joystick, you don’t have to worry about being right or left handed. It is equipped with 360° mobility which makes it easy to operate. 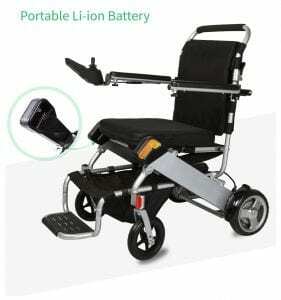 Customers are saying that this portable power wheelchair is light and easy to use! People can get around more easily. Putting it in your car trunk takes little effort now! Another noted feature is its comfortability. With a padded seat and backrest, the Tanzit Go Power Chair’s is cushioned for comfort and breathability! Karman Healthcare’s Tranzit Go Power Chair and its design derived from the lack of lightweight power chairs on the market. It is currently available at Karman Healthcare for $1,987 (usual retail price is $3,899). 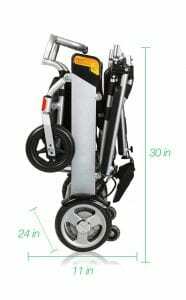 To learn more about this Power Chair and all that it has to offer, visit https://www.karmanhealthcare.com/product/tranzit-go/.